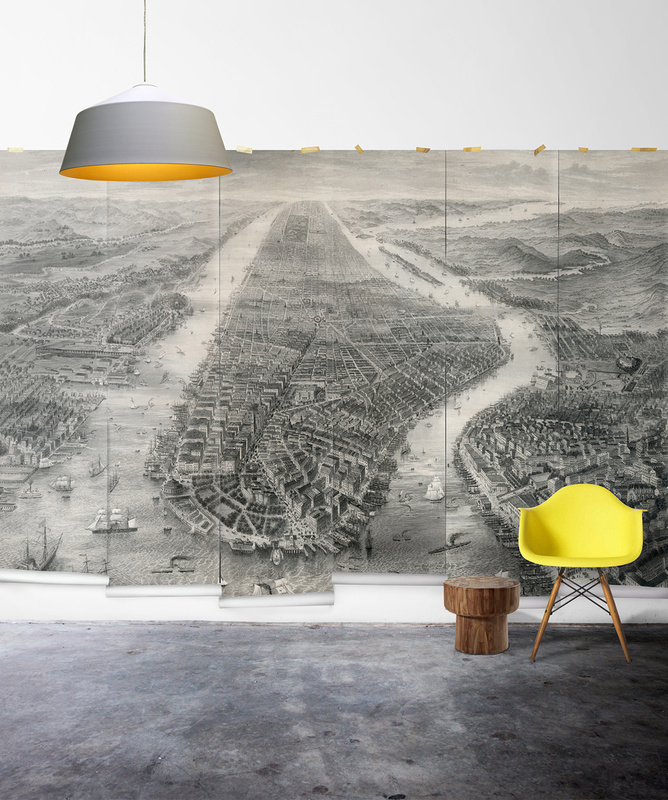 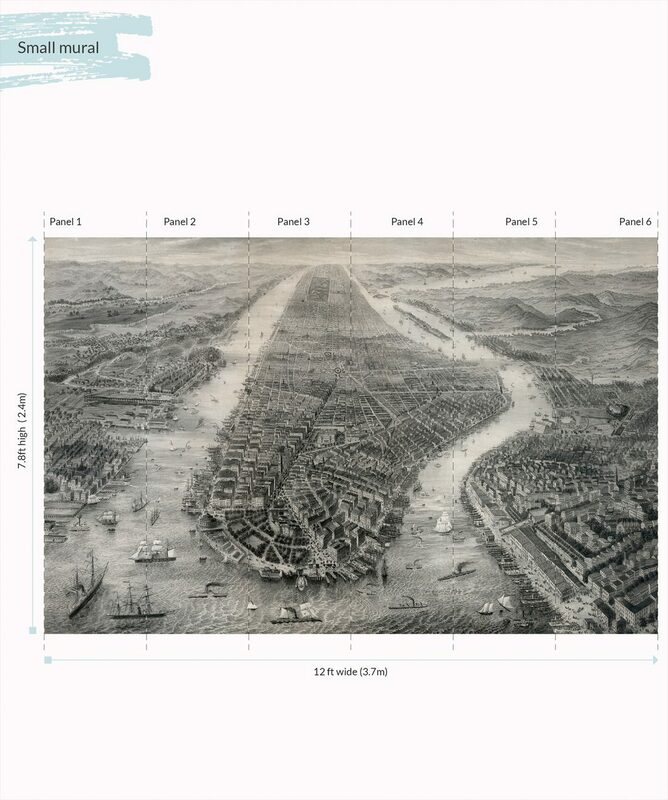 This vintage removable mural is an early rendering of Manhattan Island. 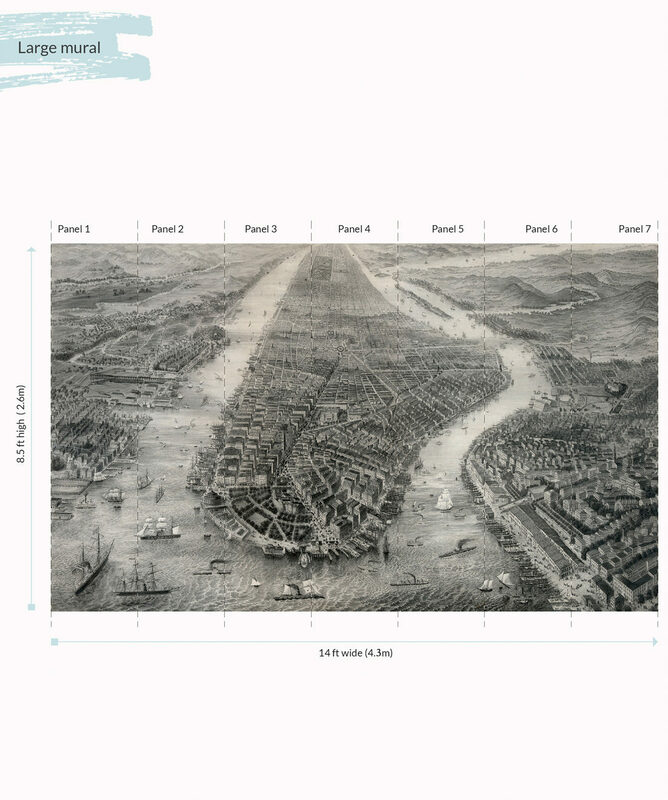 There are no bridges yet to the other Boroughs of the city. 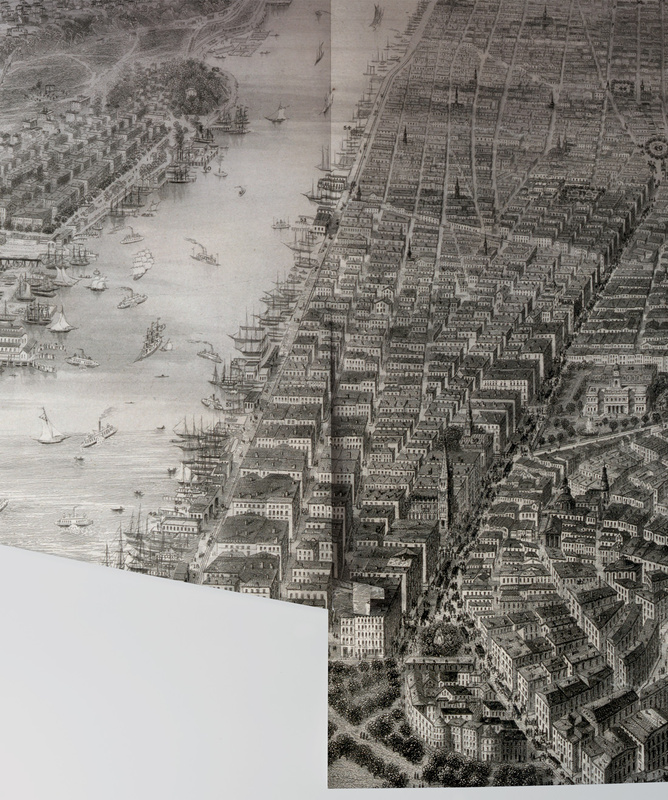 A beautiful hand drawn piece paints an accurate picture of how the city was not long ago. This easy to install wallpaper is no fuss to remove, leaving no mess behind.